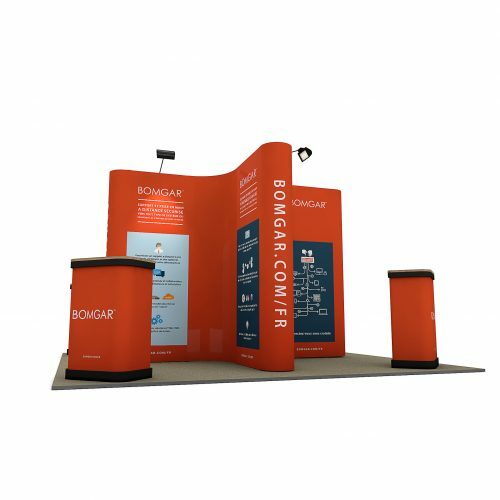 Modular exhibition stands will provide your business with a seamless event solution at a low cost and with minimal assembly effort. 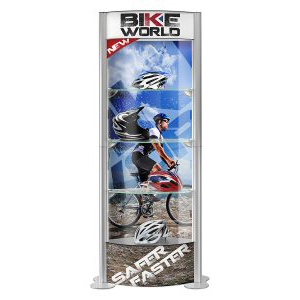 Our wide range of modular display stands enable you to add new graphics and components to your existing stand without the need to buy a whole new one, therefore maximising the return on your investment. 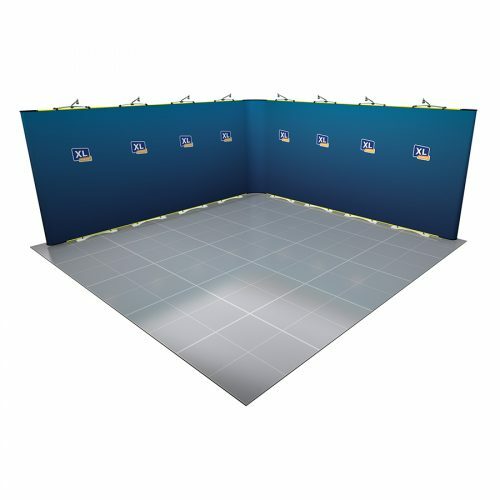 They can be used time and time again in different sized exhibition spaces by simply adding or removing elements and re-configuring panels to the desired shape. 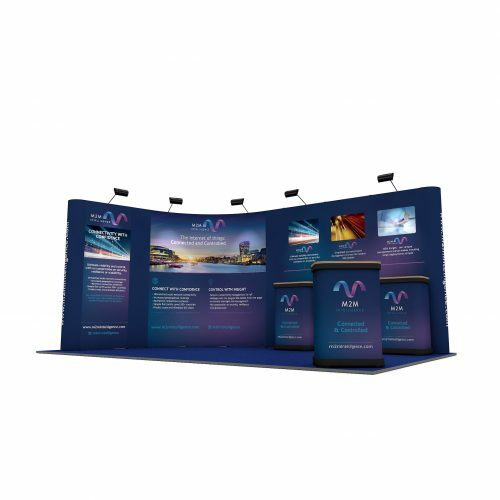 Modular exhibition stands are ideal for businesses who are growing and evolving and want a display stand that can do the same. 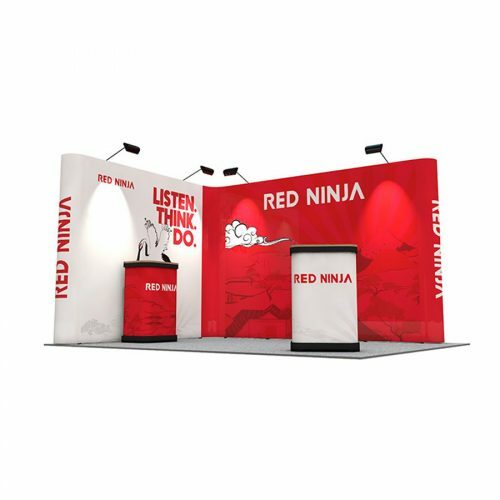 A cost effective way of creating large-scale exhibition stands to suit any and all of your business’ marketing needs, linked pop ups are a reconfigurable solution that offer maximum brand impact for events and exhibitions. Using a tension banner system, Twist modular display stands can be conveniently added to and reconfigured to grow and change alongside your business and marketing needs. 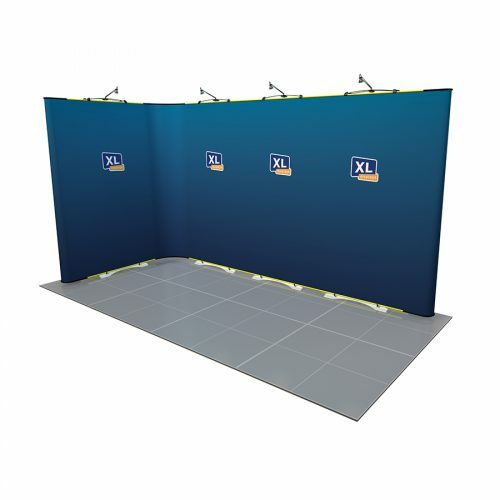 A modular exhibition display system that uses a unique RotrLink technology for exceptional ease of use and portability – a popular exhibition display solution. 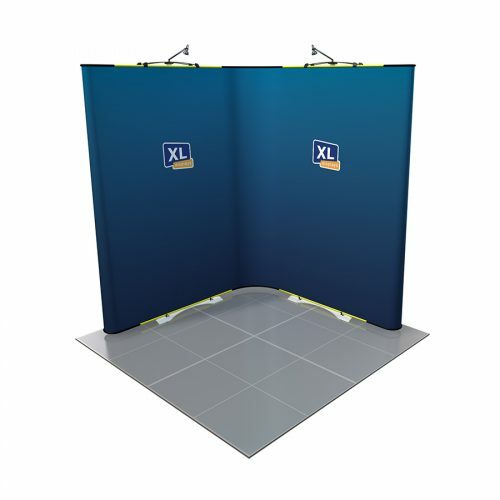 A modular exhibition display system with high quality graphics and a wide range of accessories to create a totally unique stand for your business. 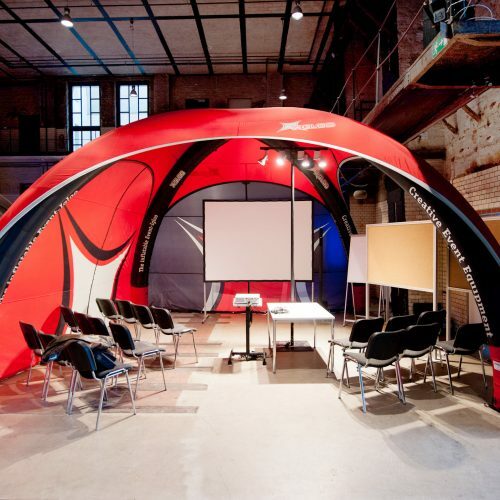 Take your brand to the next level with X-GLOO inflatable event tents. 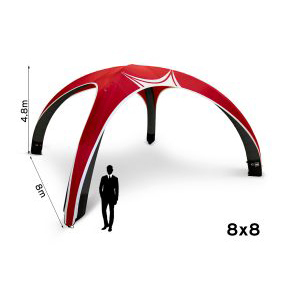 Offering limitless customisation and branding potential, X-GLOO is the ultimate event tent. Give your stand the exposure it deserves by paying attention to small details, guaranteeing the maximum amount of return on your investment. 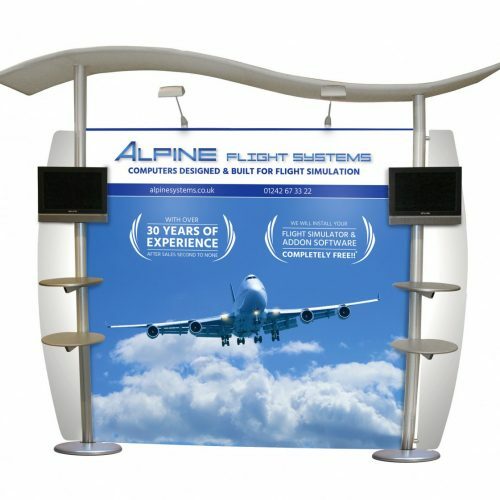 Linked pop up display stands use linking panels to create a modular display which is exclusive to your business. They have the ability to be reconfigured to any shape – with U-shaped, L-shaped and Island being the most popular. 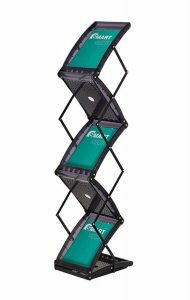 All linked pop up stand components easily pack away into the provided wheeled carry cases for easy storage and transportation. 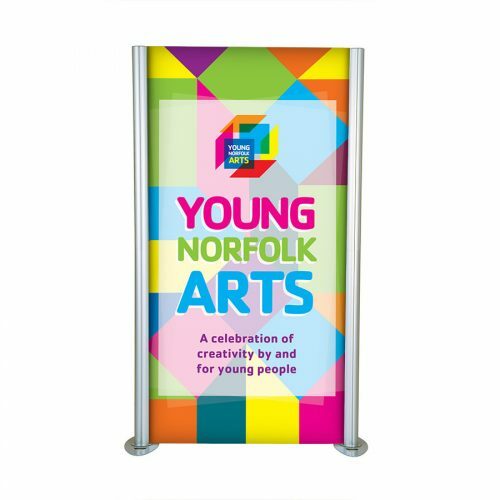 Linked pop up stands are highly versatile and can be used for a range of promotional needs, including trade shows, exhibitions, conferences and much more. 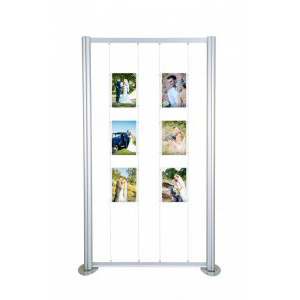 They are so easy to assemble; the frame simply pops up and the self-locating graphics just slot into place. 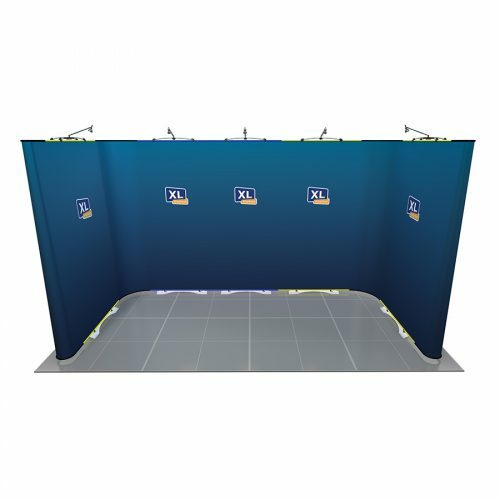 Ideal for exhibition backdrops and for creating a panoramic printed display within your show space, they are a cost-effective way of creating large scale exhibition stands. 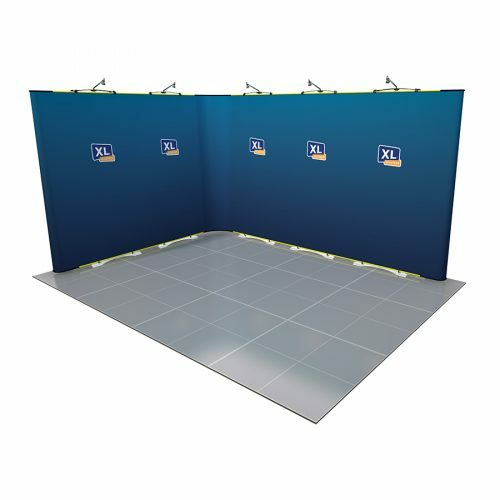 By linking existing stands together, you can create any shape or size to suit whatever space you may be exhibiting in. 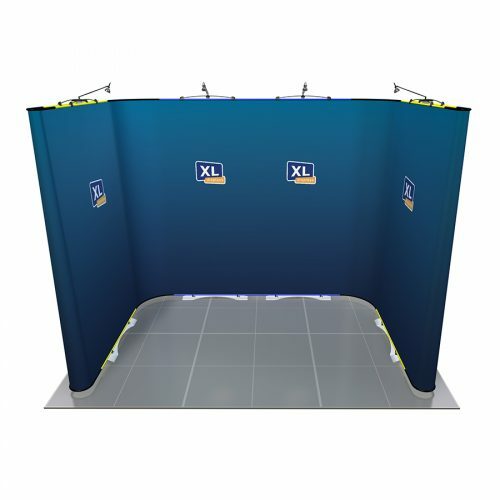 Linked pop ups are one of the most versatile display solutions available and are perfect for so many events. 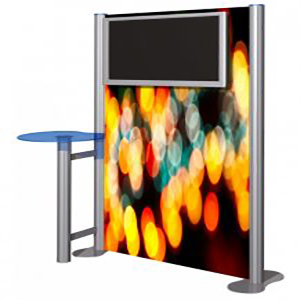 Multiple accessories are available for creating professional linked pop up stands, such as freestanding monitors, LED lights, built in shelving, storage, flat end caps, jumbo height pop up stands and much more. 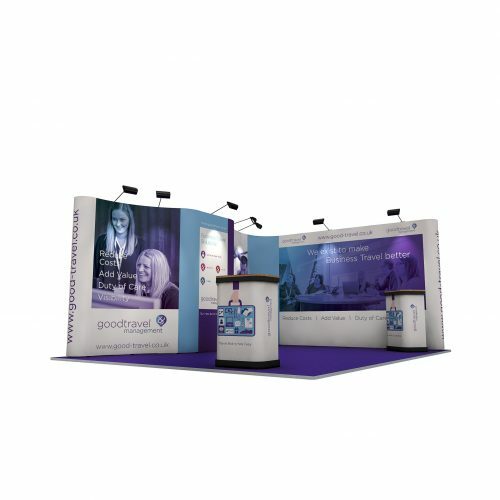 Twist display stands use a patented tension system which allows you to link multiple Twist components together effortlessly to create a bespoke exhibition stand. 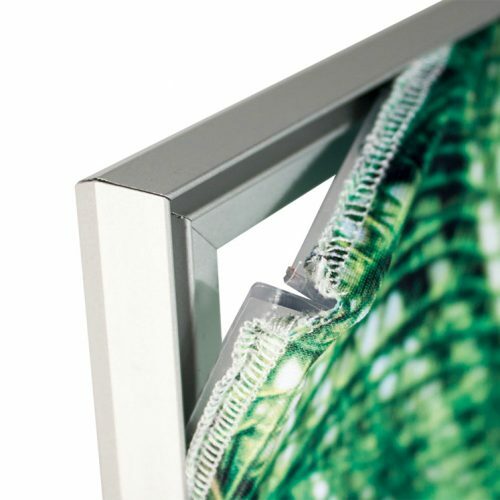 Twist employs a unique tension system which ensures graphics remain aligned and taut, even on an uneven surface. 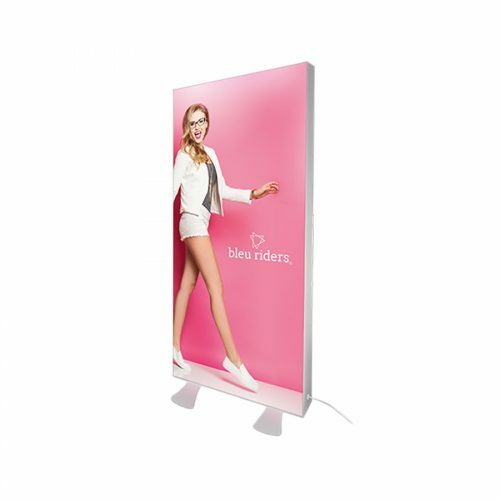 The tool-free assembly and versatile design makes these exhibition stands ideal for a variety of purposes, including exhibition trade fairs, open days, product launches and much more. 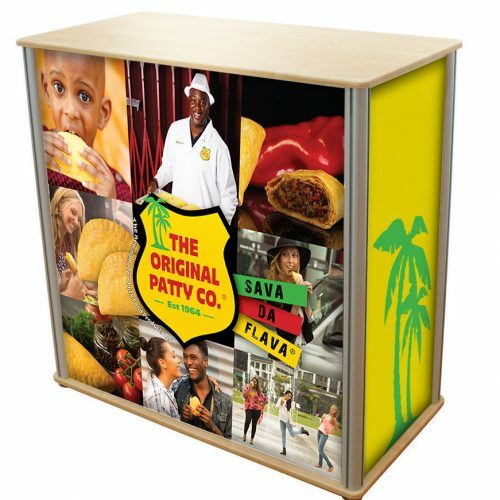 The modular display design enables you to add and link banners together to create a flexible display stand as unique as your business. You can bend and mould your display into any shape and size, making Twist a great solution for any exhibition space. All graphics are printed in full colour, creating an outstanding and vivid visual of your brand. We also laminate every graphic, giving you longer lasting, more vibrant artwork that won’t crack, tear or peel. 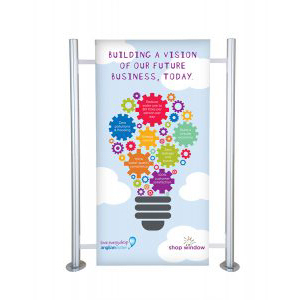 Twist banner systems are accompanied by a host of accessories designed to enable you to maximise the return on your investment. 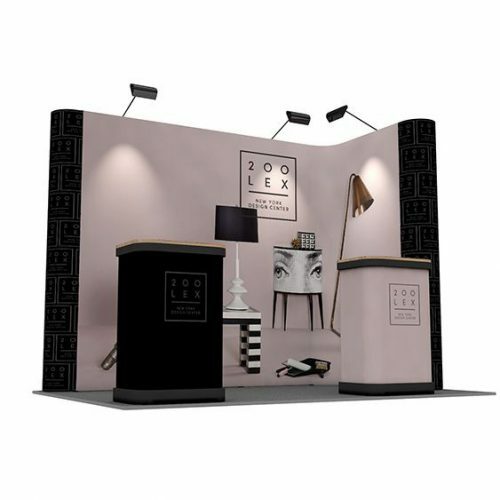 Monitor stands, lighting and shelving can all be added to fully customise your display stand and add a professional finishing touch that is designed to entice people to your exhibition. 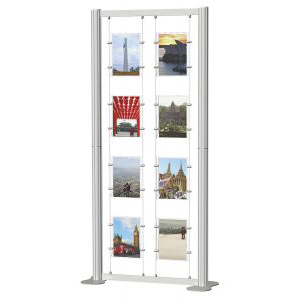 Centro display stands are a modular display system designed with ease of use at the very forefront. 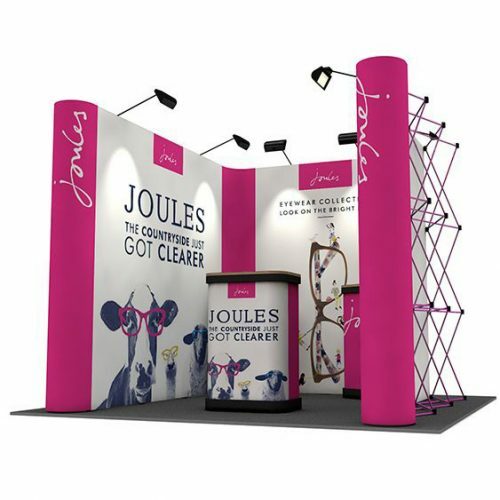 Using a unique RotrLink system, the poles and rails simply twist and lock together and are joined to build a sleek and stylish exhibition stand. They are highly portable and effortless to assemble. Self-building and reconfiguration has never been so easy. 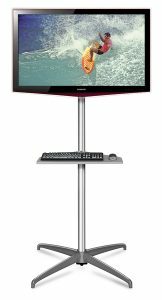 Centro multimedia stands come with monitor brackets if you want to add an audio-visual element to your display, maximising your promotional opportunity. Experiential displays are growing in popularity and are an effective way of enticing people over to your stand. This makes Centro multimedia stands ideal for keeping up with the latest exhibition trends. All of the graphic panels for Centro stands are printed in-house in full colour and to an exceptional photo quality standard. Panels are laminated, ensuring each graphic is tear, crease and scratch resistant, making sure you get the most use out of your exhibition display. 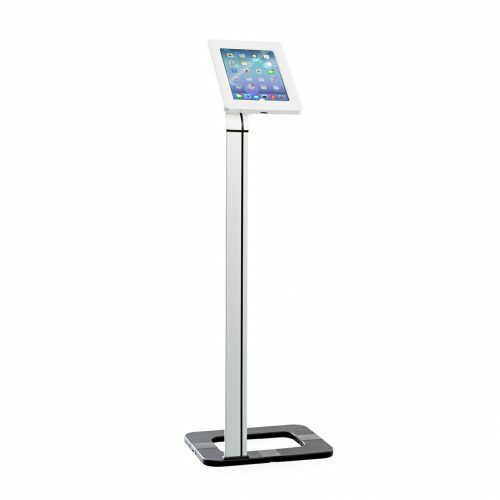 Centro stands come with a wide variety of accessories to enhance your display, including lighting, shelving, promotional counters and literature holders. These accessories are designed to add a professional finishing touch to your display that is both functional and stylish. Linear & Vector exhibition stands offer a bespoke solution which can be tailored to your design brief. They are comprised of a lightweight aluminium frame, uprights and cross rails which are easily joined together by an Allen key. They take just minutes to assemble and can be easily packed away for easy storage and transportation. With versatility and usability in mind, you can create custom arches and hidden storage cupboards within your exhibition stand, offering much more than just your everyday exhibition display. 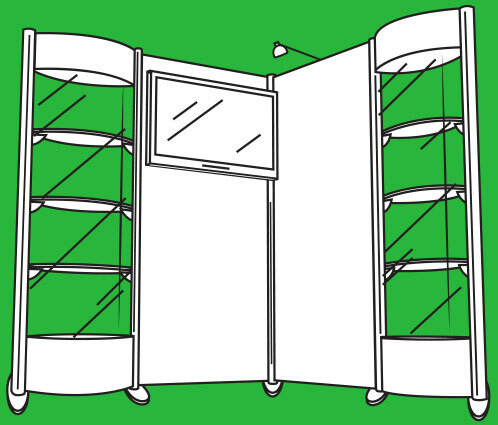 This is particularly useful because it offers you the chance to store a multitude of equipment out of sight of visitors which is an important factor when designing an exhibition stand. 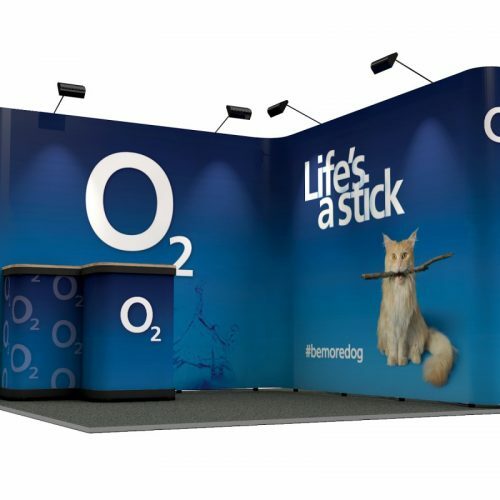 Choose from PVC graphics, fabric graphics or a mix of the two to create a show stopping exhibition display with guaranteed brand impact. 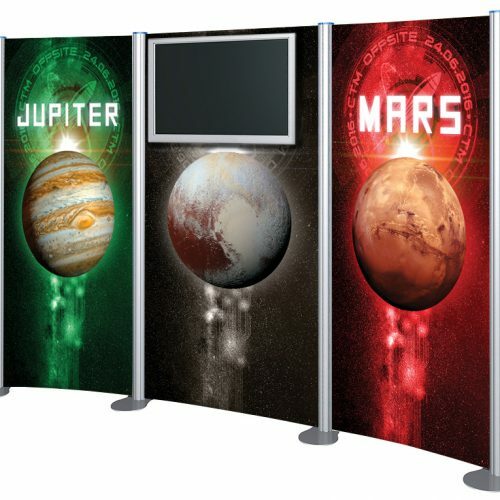 Available in straight or curved, Linear & Vector displays have the flexibility to support accessories such as lights, shelves and literature holders; ideal for creating stylish and trendy exhibition backdrops. 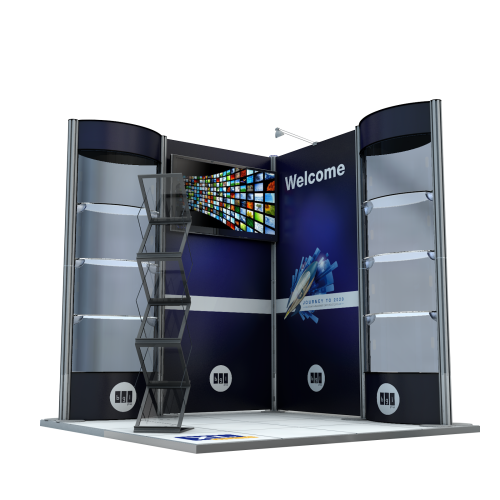 These modular exhibition stands can be reconfigured and expanded in line with your business’ marketing needs. They are available up to 3m wide for maximum exposure. 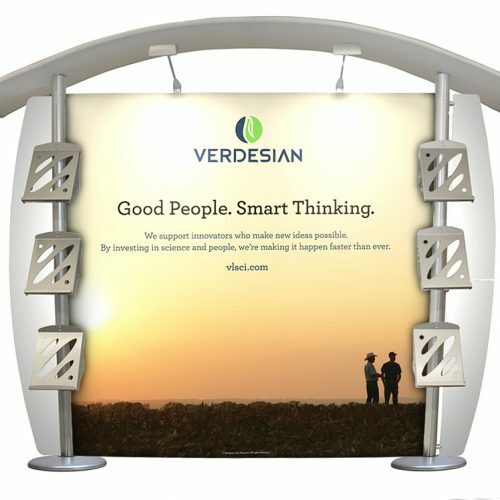 This means you can find a Linear & Vector stand to suit any exhibition space. 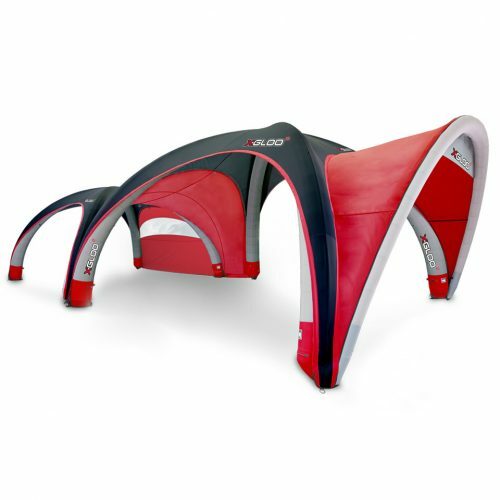 The X GLOO inflatable event tent is lightweight, UV resistant, waterproof, fire retardant and wind-stable. This outdoor event tent is one of the most durable and enduring inflatable structures on the market. Simple operation and high quality German design and engineering is what takes X GLOO inflatable event tents to the next level. 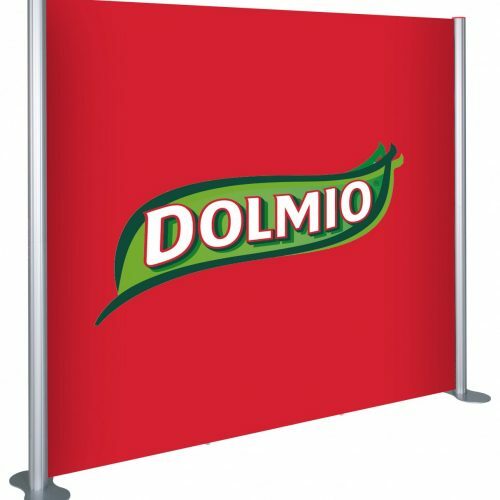 They are perfect for large format promotional events, whether that’s indoors or out. X GLOO takes mere minutes to assemble, meaning you can focus more on your customers and less on your display. X GLOO uses German engineering and is modelled after the iconic igloo shape. It provides a large format exhibition and event tent perfect for outdoor marketing. It offers unrivalled 360-degree brand promotion backed by high quality craftsmanship. Almost every surface of the X GLOO can be branded, making it one of the best display products for brand awareness and enhancement. Available in four sizes – 4x4m, 5x5m, 6x6m and 8x8m. 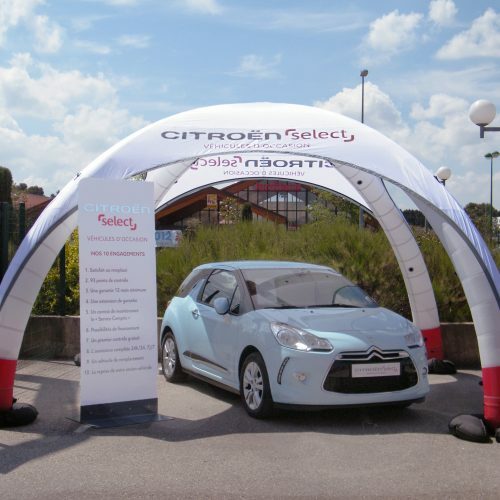 You can choose a branded or unbranded structure and customise it with a range of accessories such as walls, canopies and linking tunnels to tailor the solution to your brand. Highly portable and easy to build, X GLOO inflatable tents are as creative and as individual as your business. 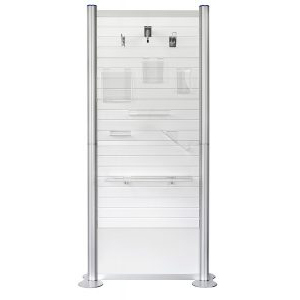 X GLOO won a RedDot design award for its elegant design in functionality and appearance. 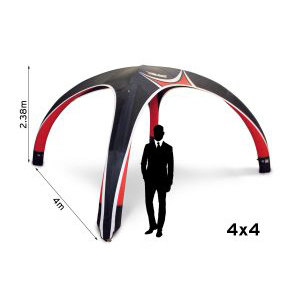 X GLOO event tents are perfect for any company or corporate event looking to take their brand to the next level. 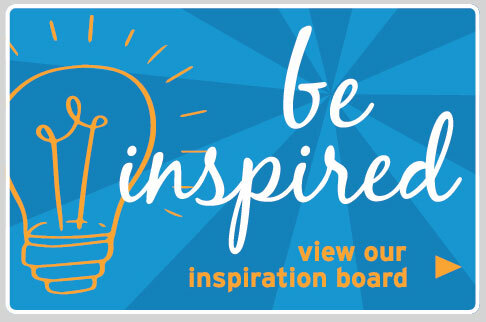 It is a creative inflatable solution for those who want to make a lasting impact at any promotional event. All of our modular exhibition stands come with the option to add a range of accessories, helping you to really personalise your stand to your brand. 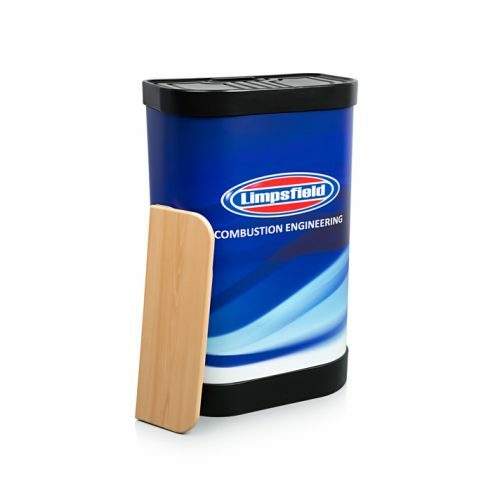 Exhibition accessories provide professional finishing touches to your display that will not only look good, but that will enhance your brand promotion. The beauty of modular stands is that they are so flexible and customisable, so accessories can be added just about anywhere on your display. The large majority of accessories simply clip onto the stand, making them effortless to assemble and looking seamless on the display. 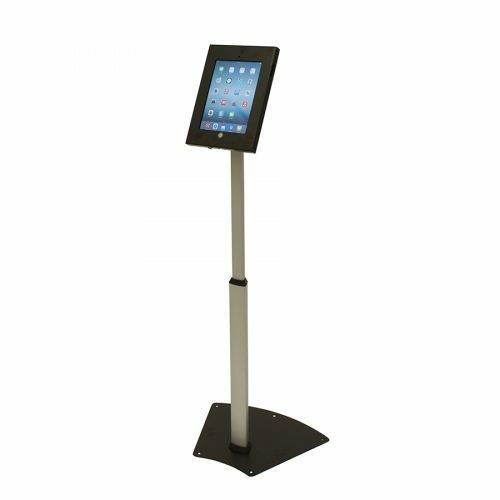 For maximising engagement and interaction, add on iPad holders or a monitor bracket in order to create a modern, experiential display. Experiential exhibitions are growing in popularity and are a good way to entice people to visit your stand. 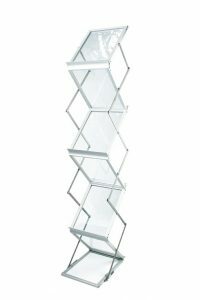 Showcase your marketing materials effectively with a range of literature stands and shelving units. Paper leaflets hold important marketing materials and key information about your business. Leaflets can look bulky on their own, but by adding a literature stand you can market vital information in a sleek and convenient way. Small accents such as lights will help to create a warm and welcoming atmosphere for your stand, ensuring that the most important aspects of your display are highlighted and emphasised.